What’s more important, the size of a company or the quality of service they provide? It’s a question every small business owner has to answer regularly: “How can you provide me with value when your company is this size?” As a society, we want to put more value into the quality of service a company provides, but most often we choose to work with the larger, more well-known option. It’s amazing how people have accepted being treated like a commodity just to save an extra dollar here or there. “Please,” “Thank You,” and “How Can I Help You?” have been replaced by “Leave a message and we’ll return your call in 24 – 48 hours.” We hate calling a company and having to press numbers for five minutes just to talk to a person, but we tolerate it. And even worse, as a society we are telling corporations that this customer service model is okay because we continue to spend our time, money, and energy on these company’s services and products. The biggest difference between success and failure for any small businesses ultimately comes down to marketing and the attention you can bring to your product or service. Some businesses do such a great job of building a loyal fan base that spreads the word right away. For many, they never have the chance to build that following and since they can’t spend the money on TV commercials and online advertising, they never have the chance to realize their full potential. Supporting an up and coming business, or a small business has become something we encourage once a year (November 25th, 2017 was last year’s Small Business Saturday), but why can’t we support small businesses all the time? Regardless of what line of business you’re in or what personal decisions you make in life, try to support the “little guy” when you get the chance. Try to recognize that nothing that’s big today was big to start off, and even for the largest corporations it took time to get to where they are today. Most large companies don’t want the little guy to win because they may lose a couple dollars to their bottom line, but let’s be honest, most of the people running the big companies didn’t build it from the ground up so they have no idea how hard it was at the beginning. So, why can’t a higher quality of service be the norm again? Why can’t people learn to hold their time and energy as a premium, and make their decisions based on how they are valued and treated as customers? At MyRepChat, we think great customer service can come first, but as a consumer society, our entire line of questioning and thought has to change first. When we recognize quality of service and put it at the front of the line, instead of making our buying decisions based on the size of the company, everyone wins. The customer ends up with a quality product, and real access to people who can help when they have questions. Local jobs and opportunity are more likely to open up for local people. Those people spend their hard-earned money at local stores and on local services. It’s a better way to put our dollars back into the local economy, build a stronger community, and at the end of the day, help more people – instead of big business – thrive. Who really wins with bundled services? These days it seems like most of your service providers are attempting to gain more of your business by offering you the opportunity to bundle. That’s right, they are bending over backwards to make you, the customer happy, by allowing you the opportunity to bundle. When you put it like that, maybe it’s not a benefit to the customer. So, who really benefits when you bundle? You probably don’t have to go too far back in your memory to come up with a scenario where the answer to this question was on full display. Mine was a few years ago with a local internet company that had partnered with a satellite TV provider. I purchased my Satellite TV, Internet and Home Phone through them. As time went on, my family and I used my home phone less and less and I decided to cancel my home phone. Imagine my surprise when I found out my bill would go up if I cancelled the home phone part of my service. Why in the world would my bill go up if I cancel my service; because I become less sticky and they would rather me have more products than collect more fees. I did exactly as they hoped I would, I kept my home phone. Companies try and try to get more lines of business with you because they know the statistics. Have you ever tried to leave your bank? If not, consider yourself lucky because that is so much more painful than your internet company. Why ionlake (MyRepChat) isn’t trying to up-sell you on our SMS services. I’ve always had a slightly different approach to my business model. What if businesses constantly had to earn your business? What if they didn’t roll out the red carpet to get you in the door only to roll it up so fast once you’re in the door that they almost knock you over? What if there was a business owner like that out there…what if? We take this idea to heart by offering great customer service first followed by products that work for you. We accomplish this by knowing that it takes the entire organization to be on board with this customer-first business model. We focus on providing the best services for your individual needs without forcing you into purchasing, or bundling, services you do not need. We know that by providing our customers with the best service, we will gain your loyalty. And really, that’s also YOUR goal too, isn’t it? To provide real value for your clients in a way that improves their lives, and gives them a great experience. Provide a service that shows they can trust you, and as a result, builds a longstanding relationship and leads to more referrals. At the end of the day, running your business is a lot easier when your vendors are focused on what you truly need to operate your business better, and how to do that well, as opposed to selling you services for the sake of the services. It’s a conscious decision to always provide value over providing a list of services. We strive to do exactly that well, everyday. MyRepChat is committed to helping advisors communicate with clients more effectively and of course compliantly. The National Society of Compliance Professionals is one of the greatest think-tanks and grouping of professionals dedicated to serving the financial services industry. MyRepChat is proud to be an approved vendor for such a great organization. MyRepChat is the only tool created by a Registered Principal and a Financial Advisor for the benefit of the entire financial services industry. Compliance professionals can feel confident that their advisors are communicating compliantly and advisors can move forward using a tool that was created by a fellow advisor. To find learn more about The National Society of Compliance Professionals, CLICK HERE. MyRepChat Partnerships can save you Money. MyRepChat has created partnerships with professional organizations in the Financial Services industry to continue to provide the #1 communication platform for Financial Planners enabling them to text clients. To see if you belong to one of our partners and to find out more about MyRepChat, check out our Partnership Page. MyRepChat is the only solution on the market created by an advisor, for advisors. It is also the only solution that operates independently allowing you the flexibility to use only the best tools on the market without being forced to bundle all your services. If you haven’t seen how MyRepChat works yet, check it out: MyRepChat. MyRepChat can now enable someones existing office phone number to receive text messages through the MyRepChat system. Phone calls work the same way they always have, with the same phone provider; however, clients can now send text messages to that number and those will feed through the #1 communication platform for financial advisors, MyRepChat. MyRepChat is so much more than a simple text message tool and you have to see it to understand. Whether your in a large firm or small, RIA or BD Advisor, you can utilize MyRepChat to communicate with clients and you can do so knowing you are always compliant. MyRepChat is not a compliance tool for advisors, it is an advisor tool that is compliant. MyRepChat is the #1 SMS Message provider for secure transmission of communication for the Financial Services Industry. 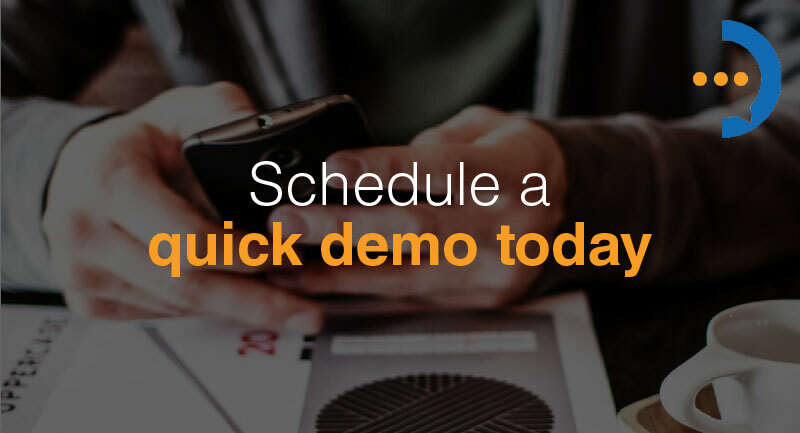 A demo of this tool can be scheduled at your convenience and takes no more than 30 minutes. 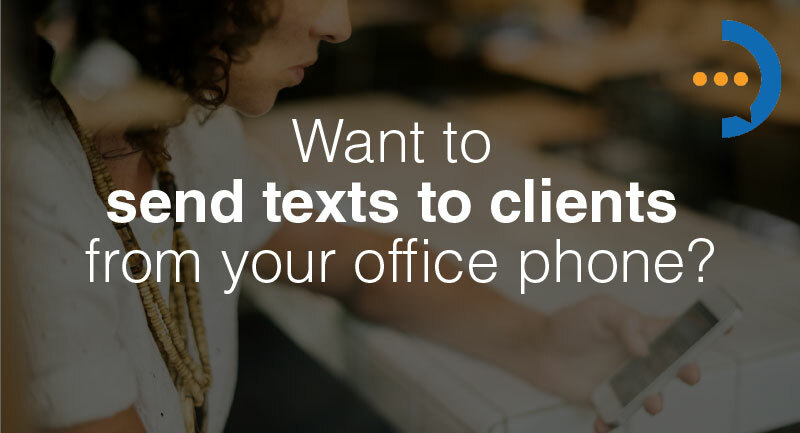 If you, or your firm are represented at this weeks FINRA Conference, you will no doubt hear about the need to have a policy in place to capture, review, and retain text messages. You will also no doubt meet a couple large firms that hope you choose them for this service in addition to other services you might already have with them. MyRepChat was created by an advisor, for advisors. It is not a package deal, and yes it is the best tool on the market to improve communication between an advisor and their clients. MyRepChat meets all compliance regulations and integrates seamlessly with your existing procedures to keep your firm from the need to deviate its processes. If you haven’t taken a look at MyRepChat yet, join an upcoming demo and see for yourself. It’s inexpensive, it’s easy to adopt and use, and most of all, it’s compliant. MyRepChat was designed by a financial advisor with financial advisors in mind. The feedback we receive is no doubt the direct result of a well thought-out product and great execution. Watch a quick demo to learn how MyRepChat can empower your clients and make communication seamless for your firm. Have questions about how MyRepChat can help streamline lines of communication for your business? We would love to help- contact us!